Almost 450 people attended the Pauline Helm Memorial Event at Burnley Football Club, where Jimmy Cricket was one of the entertainers. 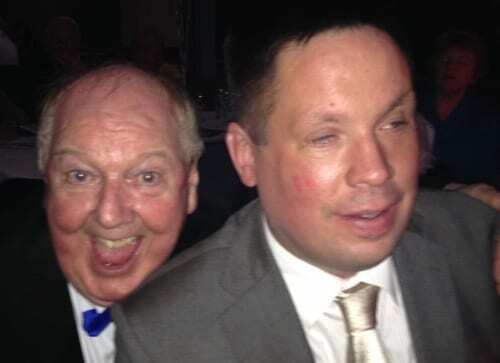 The fund-raising gala dinner evening was organised by Pauline’s widower, Graham Helm (pictured below with Jimmy), and was held in one of the club’s main function suites, which was packed to the rafters with almost 450 people there. It was hosted by BBC Radio Lancashire presenter Sally Naden and, apart from Jimmy’s contribution, the entertainment programme also featured Bacup-born international opera singer Sean Ruane (pictured below right with his wife) and music from the excellent band, A few good men. The money raised will now be split between two great causes, with £7,000 being awarded to the local East Lancashire Hospice and £3,000 going to construct an outdoor performance space for young people in Burnley. 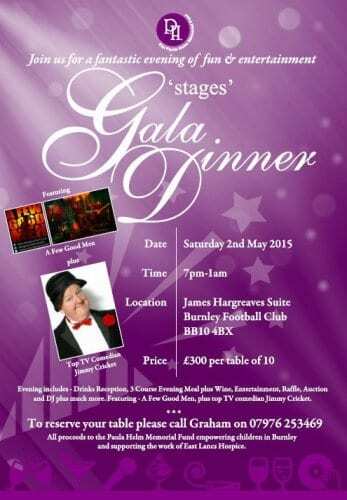 Jimmy Cricket has been asked to be part of a special charity event in May next year. 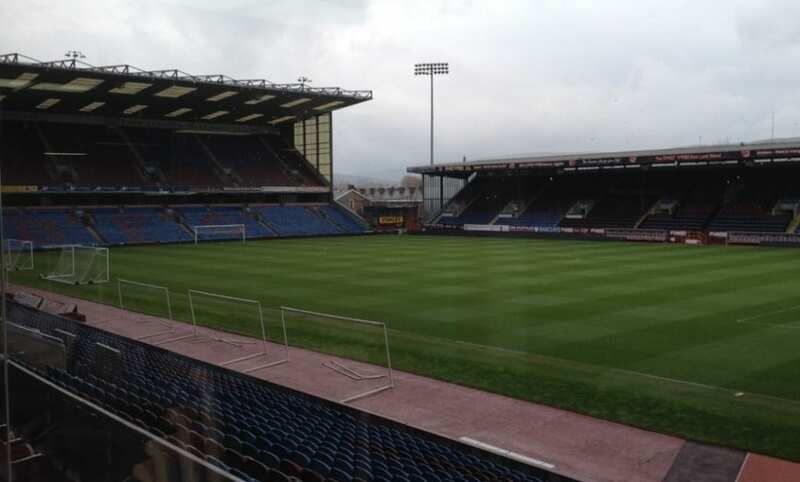 It will be hosted at Burnley Football Club and all proceeds will go towards the Paula Helm Memorial Fund. Well-known entertainer Jimmy said: “Paula was a special lady who sadly passed away earlier this year at an unexpectedly young age, as she succumbed to a terminal illness. “When Paula’s husband, Graham, approached me about appearing at this event, I thought it was such a good cause for a wonderful lady that I found it hard to refuse. The memorial fund set up in Paula’s name will see the money go towards the valuable work of helping children in the Burnley area, and will also be used to support the care provided by the East Lancashire Hospice. Those interested in attending the event on Saturday 2 May can place their ticket reservations with Graham by contacting him at 07976 253469.